Iconic ’80s hitmaker Bruce Hornsby has had a long and diverse career, and that career is still going strong. Tomorrow, he releases the new album Absolute Zero, which features contributions from Bon Iver’s Justin Vernon, Sean Carey, Brad Cook, Blake Mills, yMusic, and more. 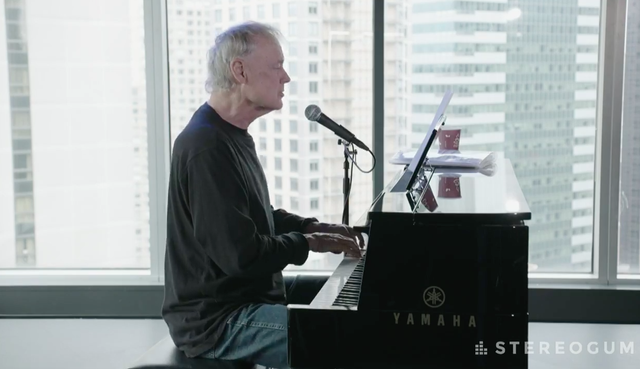 And today, he stopped by our office in Midtown Manhattan to play a few songs from it in a stripped-down Stereogum Session on solo piano. Next, Hornsby played a solo version of the lovely Justin Vernon duet “Cast-Off,” which also started out as a film cue for Spike Lee. And he wrapped up the session by performing one new song, “Fractals,” and one old song — his 1986 hit “The Way It Is,” which he introduced as “a Tupac Shakur song.” (Tupac sampled “The Way It Is” on his posthumous hit “Changes.”) Watch Hornsby’s full Stereogum Session below. Absolute Zero is out 4/12.